Claire Garven, MA Senior Lecturer at the University of the West of England, Bristol, UK. 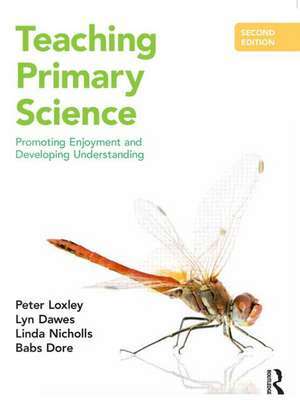 This second edition brings science subject knowledge and pedagogy together to support, inform and inspire those training to teach primary science. Written in a clear and accessible way, the book provides comprehensive coverage of science themes. Ideas for teaching and examples from practice provide a basis for inspiring children to explore science and look at the world in new and intriguing ways. Ideas for practice exemplify how you can help children to use scientific knowledge and concepts to satisfy their curiosity about natural phenomena. Something to think about scenarios help to extend and develop your own understanding of key ideas. A new chapter called Views of Science Learning encourages the teacher to take a central role in helping children develop scientific attitudes, skills and conceptual understanding. Learning Outside the Classroom is a new chapter that provides ideas and guidance that helps to develop childrenâ€™s scientific skills and knowledge, while also promoting positive attitudes to science. New Global Dimensions sections offer starting points for discussion and research into how scientific ideas can be positively applied and can be used to evaluate the impact of human activity on the natural world. Talk Skills and Science Discussion sections enable you to develop children's scientific knowledge and verbal reasoning skills.